are full of articles about how to save money on your wedding flowers. Some of these have useful information, but some of it is inaccurate or incomplete. 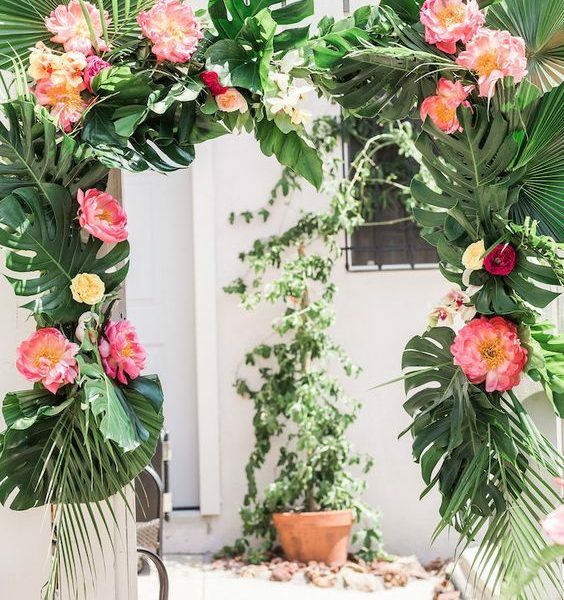 The best advice I can give brides today is that your greatest ally in keeping your flower budget under control is us, at the Garden by the Gate. That may surprise you, but it’s true! As experienced professionals, we know THE BEST ways to save money on your flowers and we will never steer you into anything that isn’t going to be beautiful. After all, our reputation is on the line every time flowers go out of the studio to a wedding or event. 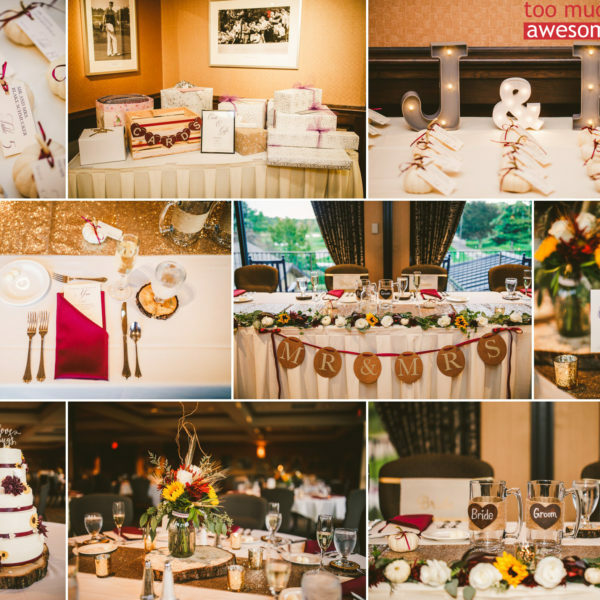 We want your guests to be wowed by your wedding decor just as much as you do. Spend your money where you can make the biggest impact, both for your guests on the day of your wedding and in the wedding pictures that you’ll cherish for years to come. Of course, if your budget allows, by all means, go all out and have every gorgeous flower you desire! It will be a beautiful, fabulous day that you’ll never forget. But if you need to trim the budget a bit, we can advise you. One thing that usually isn’t seen in pictures, and not always noticed by guests, is the aisle decor. So flowers on every pew or a thick carpet of rose petals are some things you may wish to forgo. In a church wedding, overly decorating the altar area is not always necessary, after all, the time spent there isn’t nearly as long as at the reception. 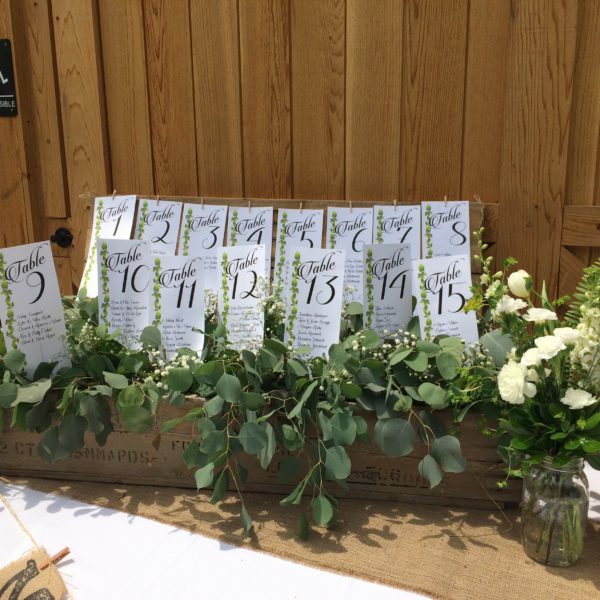 A couple of arrangements that can be moved to the reception site are an economical way to go. 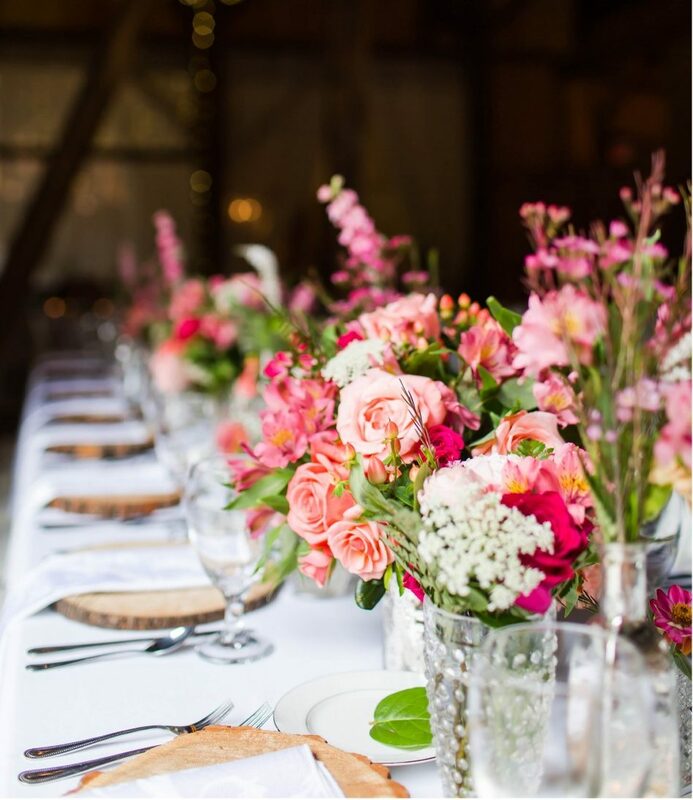 At the reception, it’s not always necessary for every table to have the same centerpiece. You can alternate large or tall arrangments with low, less expensive ones. Another good idea is using a grouping of candles on alternate tables. Pillar candles are a striking look, but they are relatively expensive; for more savings, consider using floating candles instead. We always make sure to use unscented candles; you don’t want any additional smells in the air in addition to the food, flowers, and guests’ perfumes. 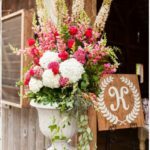 Another way that we can help keep within your budget is by the types of flowers that are used. For example, garden roses are about three times the price of long-stemmed roses. White hydrangeas are about half the price of fancy-colored ones, so we may use white hydrangeas then use other flowers to bring in your color scheme. Of course, if this is your first time planning an event as important as your wedding, you don’t know all these things but you can trust us to steer you in the right direction. After all, that’s the most important thing about choosing your florist; having faith and confidence that we have your best interests at heart. At the Garden by the Gate, one of our strengths is the relationship that we build with our clients. We want to be your ally and advocate for having the wedding that is exactly what you have been dreaming of. 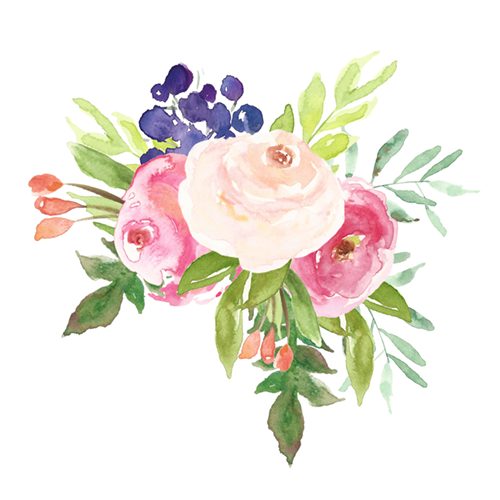 If you are interested in finding out what we can do to bring your vision to life, start by filling out the wedding inquiry form.